.30 Caliber M1 Garand WWI | BUDK.com - Knives & Swords At The Lowest Prices! The M1 Garand WWI rifle was the first semi-automatic rifle to be widely used in infantry, and was deemed “the greatest battle implement ever devised” by General Patton. The Garand officially replaced the bolt-action M1903 Springfield as the standard service rifle of the United States Armed Forces in 1936. 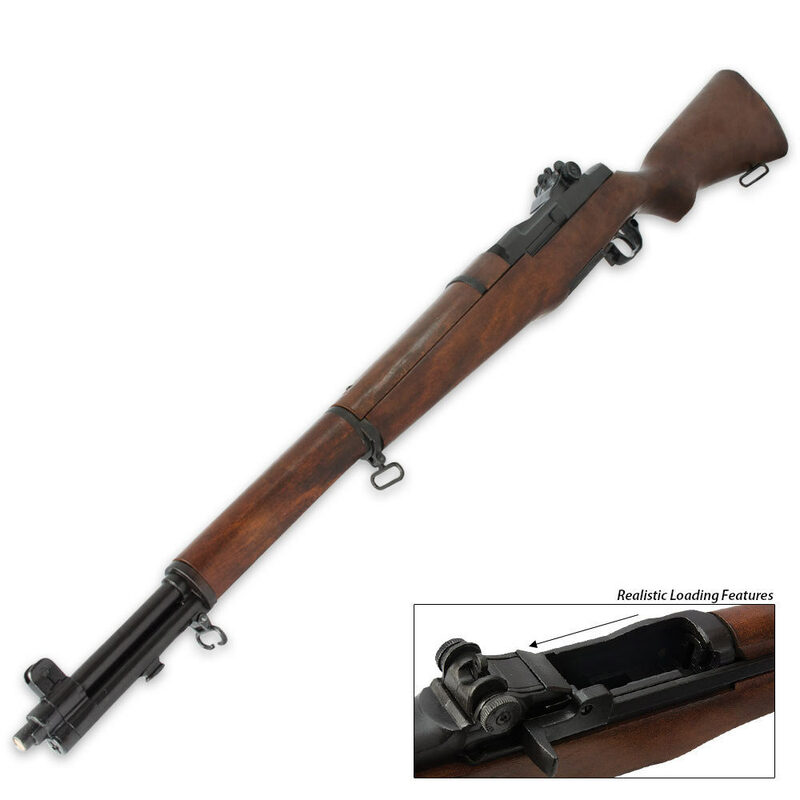 This replica .30 Caliber M1 Garand is designed just like those originals. I have a friend that has one and he said that it was the best weapon he ever owned for hunting and anything else he wished to do with it.